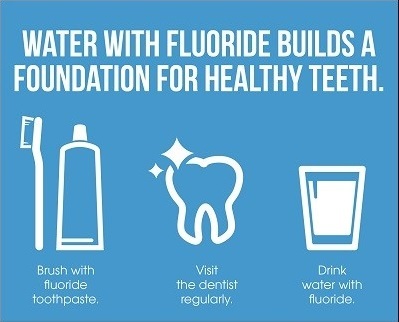 FLUORIDE FACTS: As a direct result of water fluoridation and over-the-counter fluoride products, half of children entering the first grade today have never had a single cavity. Compare that statistic with 36% in 1980 and 28% in the early 1970s !! Happy Wednesday to all !! I've been going to Dr. Rolfe for several years now. He's the best dentist I've ever had. Great friendly staff and they are experts at their craft. I recently moved but will keep Dr. Rolfe as my personal dentist and just schedule my appointments around when I visit. That's how good he is! I got refereed by a friend to come here and was not disappointed. Dr. Rolfe and his staff are all really kind people and are looking to provide you with fantastic service. Started bringing my mom here and it's hard for her to speak because she had a stroke, the staff was patient with her and made her feel really comfortable. Thank you! Nice modern office with latest x-ray equipment and super friendly staff. Dr. Rolfe puts you immediately at ease with his friendly yet very professional way. Thank you Doc. Best in town! Dr. Rolfe and company are outstanding! I have been going here for 15+ years and always receive top-notch care and have a great time! I've been going to Dr. Rolfe for over 10 years! When I first moved here from the Midwest, I was very worried I wouldn't be able to find someone as good as my childhood family dentist. Luckily, through a referral I was able to find a great dentist and staff; especially his dental hygienist! Dr. Rolfe is the best Dentist in town. Extremely knowledgeable, and always makes you feel at ease. If you are looking for a great Dentist and awesome staff, look no more.